The Ovo tower in the new Green Square Town Centre development by Mirvac is now well into its construction & is currently 8 floors above ground as of March 2017. The Ovo tower will be the tallest building in the Green Square Town Centre coming in at 28 floors 97m high, which is close enough to 100m. 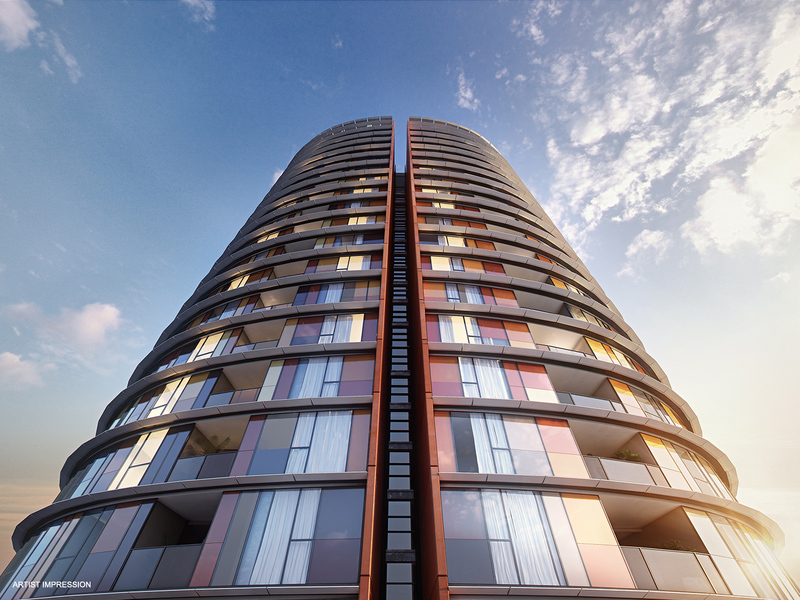 It will make a dramatic skyline impact coming in from the M1 motorway citybound. The Ovo will also feature a second tower which has a larger floor area but is shorter coming in at 30m and 10 floors high. 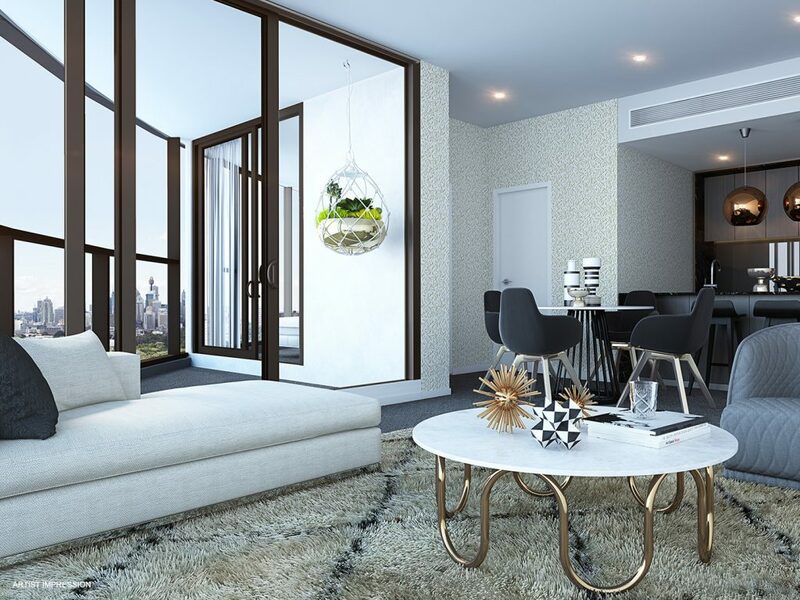 The building will feature 310 luxury apartments in total starting from around $710,000 as listed on the Mirvac official website for Green Square. It is expected to be one of the more expensive developments of the Multi-Billion dollar development that is the Green Square Town Centre coming in at roughly $142,000,000 according to D/A applications submitted to the City of Sydney council. With the development being only 4km from Sydney’s CBD, it’s great that the developer Mirvac has decided to include 370 bicycle spaces which will make commuting into the CBD by push bike very attractive to residents making commute times potentially shorter & keeping the residents fit in the process. 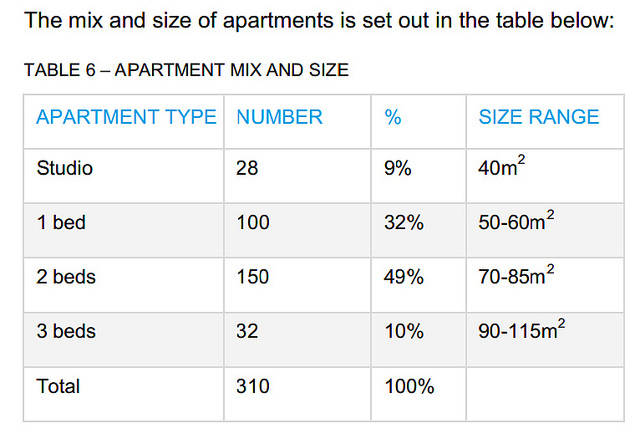 The interior looks spectacular, there is a great mix of apartments ranging from studios to 3 bedroom apartments. The location is suburb being in one of the largest urban renewal projects in the state & will only improve over the next 5-10 years as all the amenities are built with the Ovo’s surrounding neighbourhood being transformed into a mini-city of its own.